Facial waxing has been something I have stayed away till very recently. I always opt for threading at salons, or plucking at home to get rid of the facial hair. 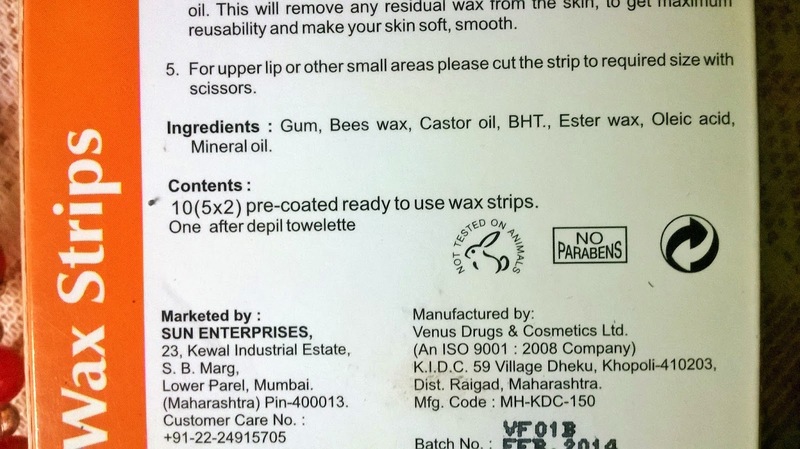 The only 1 time I tried to use a facial waxing strip earlier had been disastrous, both in terms of the result as well as the side effect. 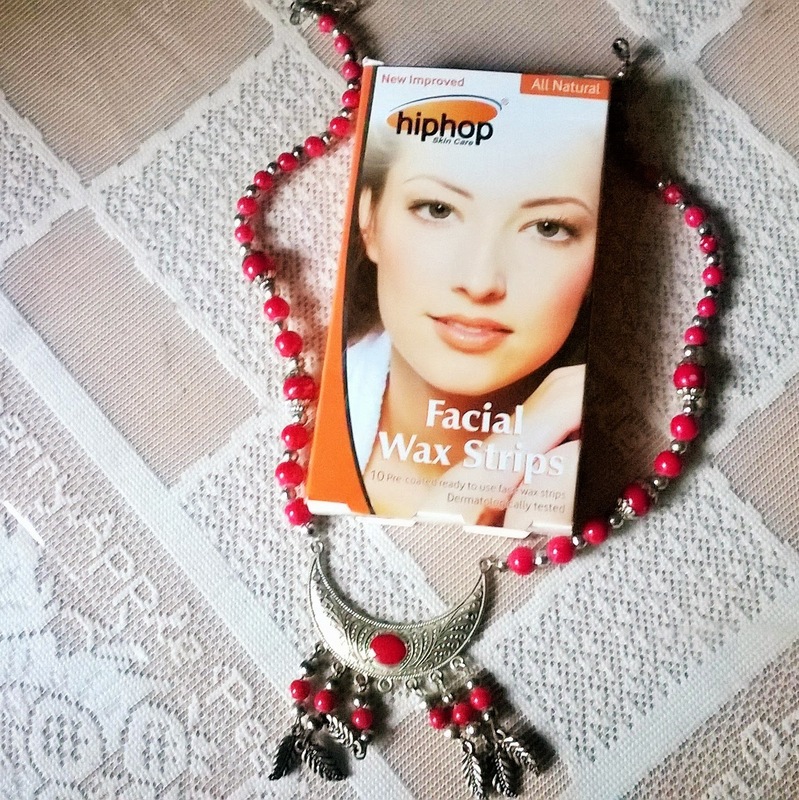 So when I got the Hiphop Skin Care Facial Wax Strips, I was a bit skeptical to use, and specially because I had suffered a severe allergy breakout a couple of months back. 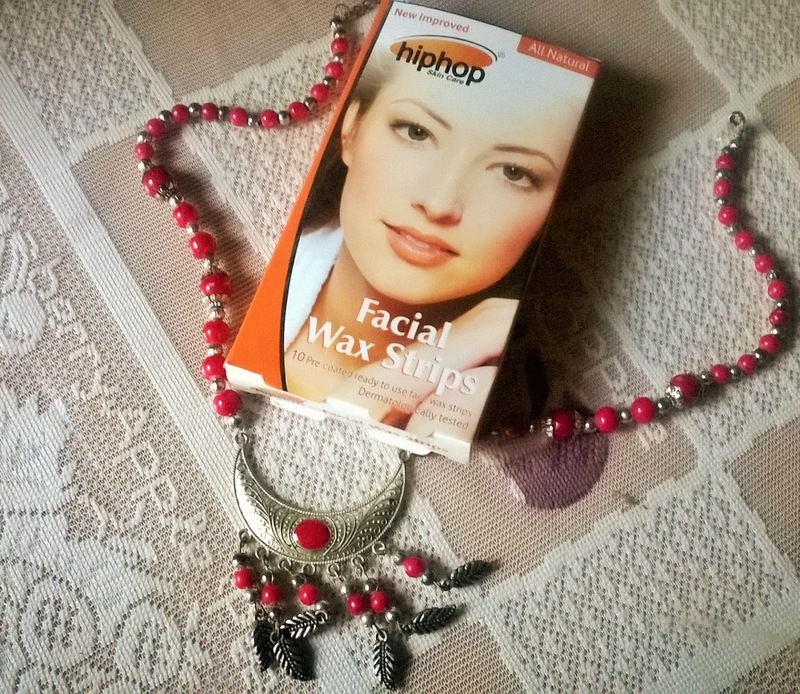 • Facial wax strips are the most convenient, easiest and most safest way to get rid of unwanted hair. • For upper lip or other small areas please cut the strip to required size with scissors. 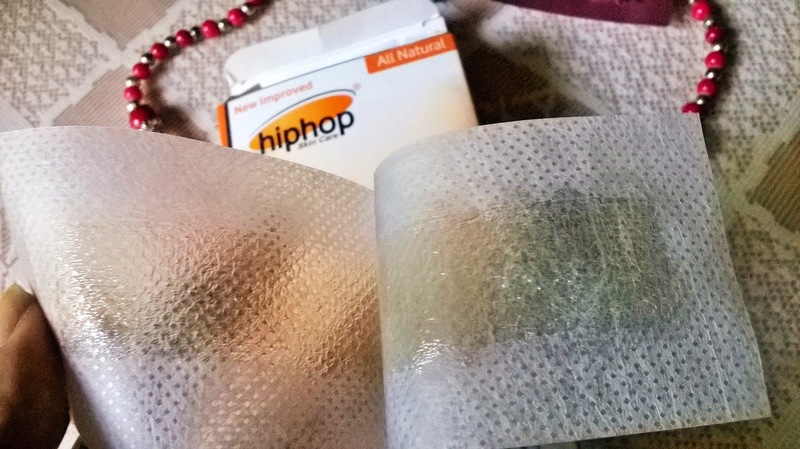 Packaging: Hiphop Skin Care Facial Wax Strips come in a white cardboard packaging. Inside that 5 double sided strips and 1 packet of After Depil Towelette are there. Product: The strips are white in colour and 2 strips are attached to each other with a coating of was in between. 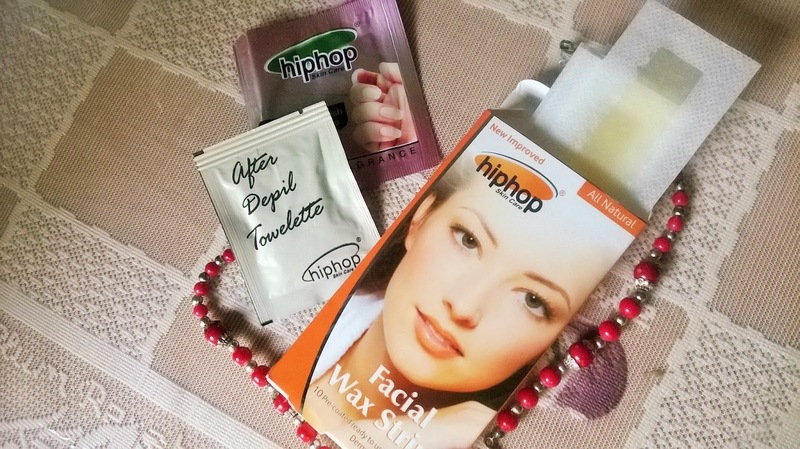 My Experience: Although I was reluctant to use the Hiphop Skin Care Facial Wax Strips, I ended up using it, and thank myself now for taking that step. The instructions given are very easy to follow and I exactly followed that. I used it for my upper lip hair. And it worked wonders. The waxing strip just pulled out each tiny hair strand from my upper lip area. I did not have to use it twice. The size of the strip is adequate to cover a good portion of your face. So if anyone requires it on the cheeks also, 2 will be enough. The amount of wax coating is also quite generous. 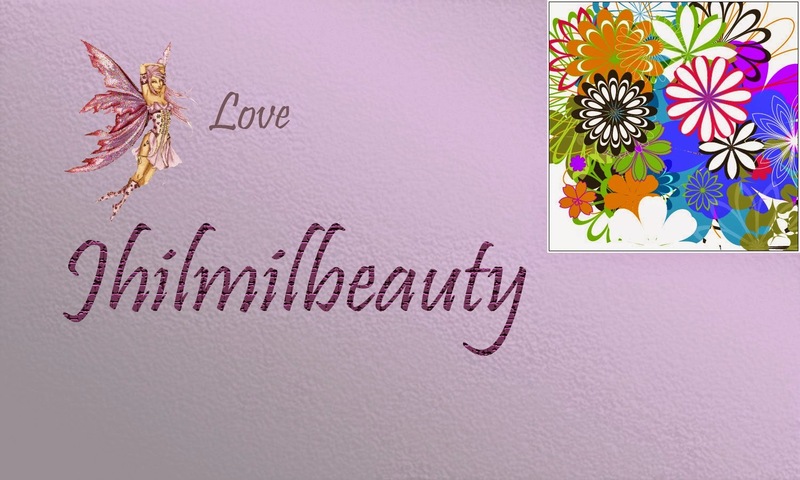 It did not break me out or caused any irritation. 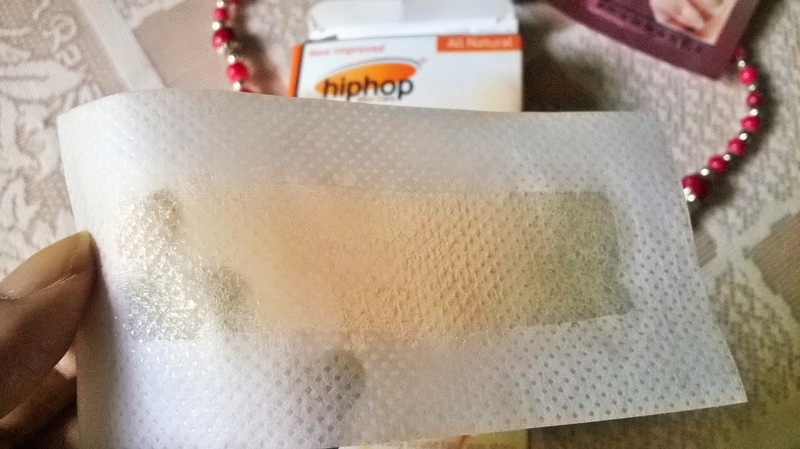 As instructed I used a portion of the After Depil Towelette to pat off the stickiness. 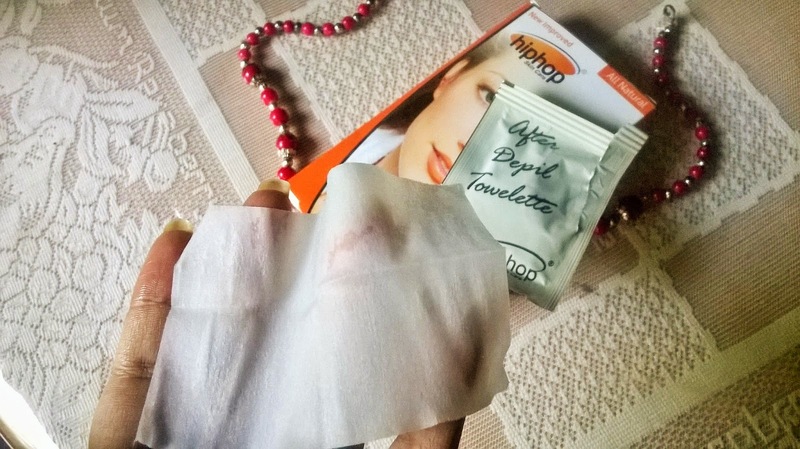 the towelette is so soft and moisturizing. 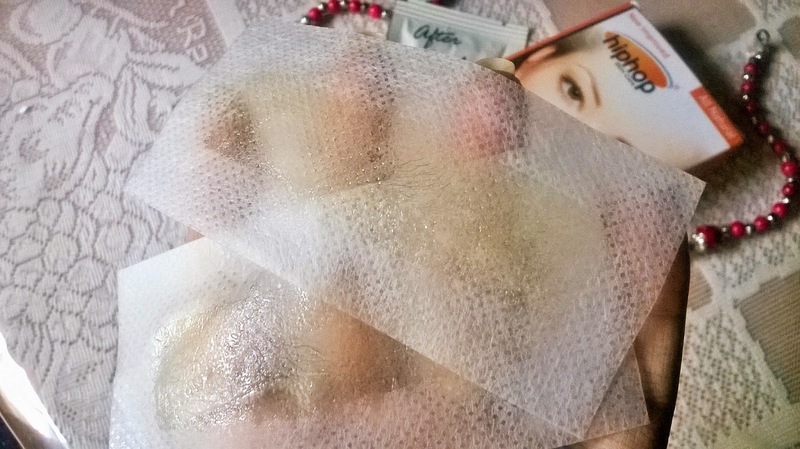 It gives a very soothing effect and is a perfect post-waxing cure for normal,dry or sensitive skin. Girls with oily skin may find it too greasy. But it definitely is not going to give any adverse effect due to the presence of castor oil and other essential mineral oils. 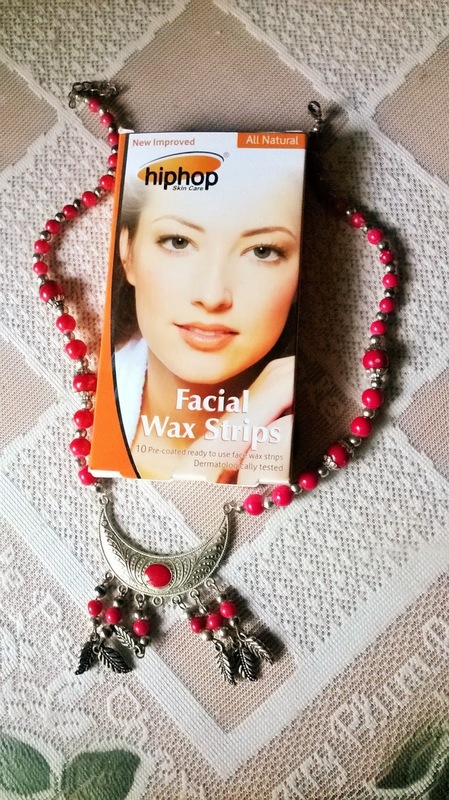 Hiphop Skin Care Facial Wax Strips is a must-have product for girls on the go. It is a quick fix item for immediate hair removal-very easy to use and very effective too without being too heavy on the pocket. And there is no side effect at all.